In 2016, Axalta Coating Systems (NYSE: AXTA) celebrates 150 years of creating innovative industrial coatings. Axalta’s heritage dates back to 1866 when its first products were developed in Germany and since then the company has grown into one of the world’s leading manufacturers of liquid and powder coatings. From the earliest products that supplied European carriage manufacturers with colorful coatings in the nineteenth century, Axalta evolved to meet the needs of an automotive industry that flourished in the twentieth century. In the 1920s, Axalta introduced the first quick drying multi-color lacquer line for automobile production in the U.S. Company scientists developed the L,a,b color equations that became a key analytic tool in the catalogue of color science. In the subsequent decades, technology at Axalta evolved to produce coatings that were increasingly durable and productive. In the 1980s, the company ushered in the first more environmentally responsible liquid coating systems with the introduction of waterborne products. Building on experience acquired with its original Spies Hecker® and Standox® products, Axalta branched out to provide refinish technicians with improved coating products and systems. 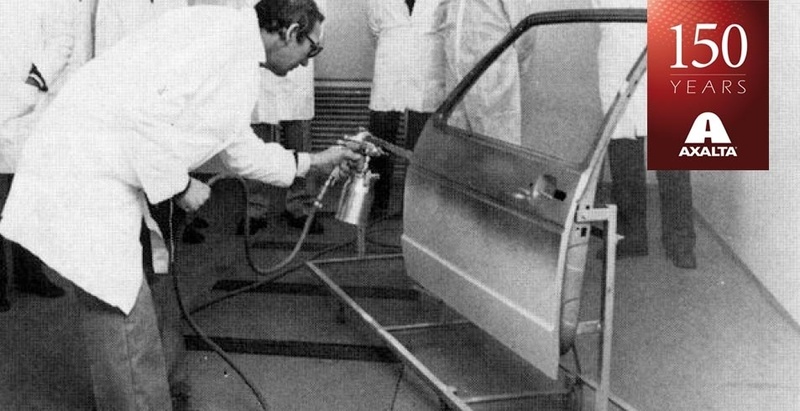 In the 1990s, the Cromax® family of waterborne products was introduced to automotive body shops. Handheld spectrophotometers and VINdicator™ color tools were developed to help provide excellent color matching which saves repair time and reduces waste. As the needs across many industries evolved, so did Axalta’s portfolio of products. To serve a growing number of industrial customers, Axalta introduced Nap-Gard® powder coatings for oil and gas pipeline manufacturers. Today, both functional coatings and a wide array of decorative Alesta® powder coatings are used in thousands of applications. Voltatex® electrical insulation coatings enhance the productivity of motors and a host of electrical components. Vehicles ranging from heavy duty trucks and buses to trains and other rail stock rely on Imron® to protect their vehicles from the elements while using vibrant colors to build recognition for their brands.